Author Note: I’ll probably catch hell if my husband gets wind of this post. Thank the writing gods that he doesn’t do social media. A writer’s journey is a funny thing. Not that I think that we don’t fold our towels in some magical manner than others. Or that we pay our bills using money from Gringott’s (that’d be nice if we did … ’cause elves and dragons … jussayin’). No, I think that it’s more that we often jot down things that happen to us. We document lives – our own and those characters and worlds we create. It’s this documentation that I have rambling in my head as of late. Why? Well, first it started off because I am recasting my Angels of Mercy series cast in a YA format. But that wasn’t the end of it. 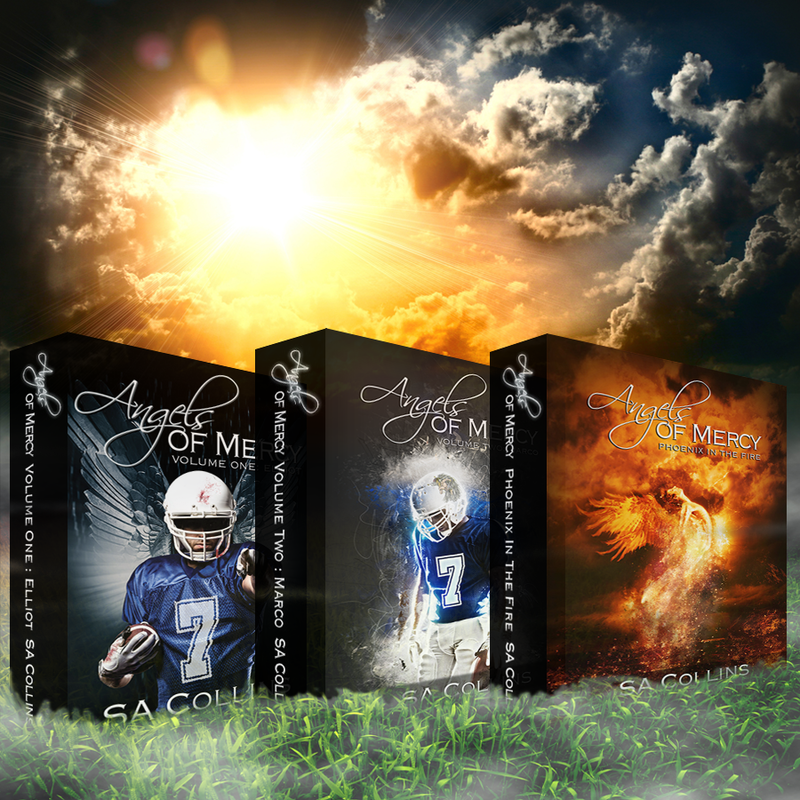 Angels of Mercy was always meant to be a metaphorical exploration of characters – a character study of three main protags over the course of the same timeline – each boy having a different perspective over the timeline and the answers to the drama I’ve thrown at them. Each boy has an angelic name that is emblematic of their character traits. So, recasting them in a YA setting I wanted to change it up, take the Buffy the Vampire Slayer/Supernatural route and make the story about actual angels and demons. I also took them back to the 1907s so I could omit a lot of the tech that characters interact in current stories and focus purely on character. Eschewing trappings of today entirely. Old school, er, uh, as the kids today spell it: #oldskool. (Ya gotta love them kids). Since I grew up in the 70s I decided that I’d throw in all the stuff that happened back then that I could recall, augmenting with image searches and binge watching TV shows of the 70s to keep in the groove in my righteous way. #RightOnMan! One of the shows that I binged while writing Mercy’s Little Angels was The Mary Tyler Moore Show. I loved this show. I watched it religiously when I was a kid. However, the rewatch completely threw me. The writing was still brisk and funny, but with modern eyes the sexisms and subversive language, while progressive of the time, fall woefully short of what we think today – which is as it should be. But there was another thing I took note of: Lou Grant (played to perfection by the inestimable, Ed Asner). Why? Because there were elements of Lou’s character that mirrored my husband’s. J, my husband, is sixteen years my senior and a relative contemporary (give or take a decade) of Lou’s character. He’s of that age, of that time. I always found my husband to be an amusing man – one of the many traits that endears him to me. I fell in love with his mind far before anything else about him. That remains true to this day. With my recent cancer scare it was his complete and thorough knowledge of medicine (as a retired physician) that kept my oncologist’s feet to the medical fire. I credit my slow climb to win this war against this awful disease to him. He is the light that presses into the night when all I feel is darkness. He’s my angel (I’m not religious so for me to say that, it’s something, believe me). It’s why Angels of Mercy was dedicated to him with the first book. He’s always been that light in my life. And my bout with cancer wasn’t the only time he’s done that. One of the few photos my hubby will let me post – his senior picture. When he and I got together I had a cat I’d had for about eleven years to that point, his name was Gizmo. I say was because he passed in 2006. But the thing is he wouldn’t have made it to that year (I got Gizmo in 1994) if my husband hadn’t been there. In his eleventh year Gizmo was diagnosed with feline diabetes. This completely restructured our lives. But by then J’s life had taken a turn with his own heart disease and so he built a regimen for himself and Gizmo to monitor and administer their meds at the same time. Everything in our lives revolved around Giz and J’s routine. Dinner plans? What time did Giz require his insulin shot (yeah, shot)? Don’t forget your meds too, hon. “I got it …” he’d call back to me as he went to do both. Movie night? Again, times were selected around their med schedule and feedings. EVERYTHING was according to Giz and J’s schedule. But here’s the thing: Gizmo didn’t suffer for his disease for another 11 years. J meticulously monitored, double checking the vet’s current tests and lab results at every turn. Gizmo’s comfort and quality of life was beyond anything I could’ve done for those remaining 11 years of Gizmo’s life. They bonded over that disease. I’d often come home from work to hear the hubster and Giz “talking” in the kitchen while J prepared dinner for all of us (in some shape or form). Until Gizmo’s stroke at the age of 21 (admittedly VERY old for a cat’s life) J gifted him with a care and quality that always left me breathless. When the stroke happened I saw a crack in my stalwart, former college football playing husband. He broke. It was quiet and removed, huddle up to my cat and whispering such sweet words to him about what he’d do to make it better. This from a life long “dog” person. Yeah, you read that right. That’s how far he’d moved along that pet line to embrace my cat. It’s when I realized he was no longer “my” cat. Giz looked to J for everything. J would have to pick Giz up and put him down for feedings. J would follow him into the cat box area in our bathroom and if Giz made a mess, he’d look up at my husband (I witnessed it) and J would just whisper to him that it was okay, he’d take care of it. Put simply: I’d married a gem of a man. When Giz passed – we eventually had to put him down because there simply wasn’t any hope – he’d suffered another minor stroke. The end was eminent, there’d be no magic cure. On February of 2006 we took him to the vet to say our goodbye’s and were there to be with him as he slipped away. My husband broke. This man who didn’t do emotional displays, who didn’t do anything public (no social media presence, remember? ), lost it. We went home, he cried silently as I drove us there. He went into a pseudo seclusion. His own medicine regimen suffered because he wasn’t doing Gizmo’s any more that kept time. Things got messy. It went on for months. We languished. It was the most silent part of our relationship. We talked about a lot of stuff. We just didn’t talk about Giz much. His bowls, toys and items weren’t packed away for weeks. J wouldn’t let me. It was then that he told me the moment he fell in love with Giz. When I first moved to San Francisco, to be with J, my cat stayed behind with my ex. When he eventually moved to SF six month’s later (we’d always planned on moving to SF together – but that’s not how it worked out – even if we’re still friends to this day) Giz made the trip up with him. J was there to help sort my stuff from my ex’s. Gizmo was amongst the moving items. My ex had the cats we had (there were three) mildly sedated for the driving trip (some 10+ hours). When J saw Giz for the first time, those big blue eyes catching J’s brown, J said he swore he would take care of Giz for the rest of his life and that he would never let Giz go through something like passive sedation to make a moving trip easier. J never let that happen for the rest of Gizmo’s life. Again, a supposed “dog” person did this. So, why the comparison to Lou? Because, so many character elements my husband has are perfectly aligned to that character. J has an enlightened mentality to our times, but he also is staunchly attached to his era. It’s a duality I live with that fascinates me to this day. And the reason I am documenting this aspect now. You see, we’re in a similar situation. Not only with my battling cancer but one of our two cats (that we got 2 years after Gizmo’s passing), Katya, the Bengal, is having health issues. Her eating habits are off. Being a Bengal, Katya is 5/8ths wild. Her breed is special because it was created by a geneticist who bred Asian leopard cats and snow leopards into the standard silver tab because those leopard cats had a natural resistance to feline HIV and Leukemia. Bengals are also known to have robust systems that keep them fairly healthy throughout their lives. Given our situation with Gizmo this seemed like a good thing. One thing Bengals are subject to: old age. No getting around that. Katya is now 15. And, at the moment, has been faltering. As I write this early this morning, I woke because my husband had been quietly crying with Katya curled up to him as he whispered that she needed to eat more, and that he’d think of something to help. My husband’s a bright guy – remember, he vociferously and meticulously kept my oncologist feet to the fire throughout my cancer scare – writing medical analysis that eventually went to Second Opinion and got them to see his point of view on my case – they concurred. But animals, it seems, are his waterloo. Katya became J’s return to life. He was always proud to show people his “leopard” – she has rosettes like a leopard because of her lineage. Bengals have been clocked out in the wild at racing 40mph. Did you know that? He’ll tell you that if you meet them. Katya is his pride and joy – I’m not saying I take a back seat, but I do often chide him that the “fish wife” wants him and I have to step aside. Like Lou Grant, a tough guy exterior, coupled with an acerbic wit and a fiendishly clever sense of humor, my guy has a lot in common with Lou. But it’s the last character trait I’ve yet to mention about Lou that cleaves my heart in two: his heart of gold. Like Lou, when you strip away all the bravado, the humor, the wit, when you really boil it all down, you have a man who loves whole-heartedly and is “all in” with what you’ve both got going on in your life. This morning – at 4:50am I woke to his muffled tears and sniffles as he whispered to Katya curled up into his chest. Like a cat erping up a hairball, J’s emotional displays are a HUGE wake up call. I often tell people I have to really poke him hard to get him to say anything that is hurting him. I tell doctor’s, when we take him to see one, that if J goes, “Ow, that hurts,” it’s equivalent to someone coming along an whacking your arm off with a machete and then pouring iodine on the wound. J doesn’t do “ow.” He’s very quiet that way. So, when I hear him break it’s like an Emergency Broadcast alert has gone off in the house. He kept apologizing. Like Lou Grant apologized. It was messy and sometimes incoherent. And I found myself not too unlike Mary grappling with the helplessness of wanting to help Lou (even if they weren’t married). We fed Katya 3 hours early this morning because she seemed to want to eat. Something she’s been meh about eating for days. J became emboldened and wanted to take care of it right away. So there we were cutting up filet mignon for Katya (yeah, he bought her absolute favorite to have on hand in case she got hungry). She ate. She seems more active for the moment. My “Lou” seems happier, but there’s a knowing sadness creeping in there. A Gizmo laden one I’ve not seen in years. Fifteen plus years to be exact. I know what’s coming. I see it, even if he’s trying like hell not to. We’ve decided to take her to the vet on Monday morning. She’s not hiding (usually a very strong sign that something is amiss in a cat), she’s not stopped pooing or peeing – so we’re good there. She’s still grooming regularly – another sign that things are semi-normal. She just does EVERYTHING slower. I’m fairly convinced it’s old age that’s crept up on us while we weren’t watching. It seems sudden, it’s caught him off-guard from his prized leopard, but for those of us of a certain age, as I tell him, that old age thing happens pretty quickly when it comes. We suddenly can’t kneel easy anymore. We could do it yesterday, but not now. Things like that. So, I watch my Lou. I see his worry and concern. And, like Mary, I do what I can to help the big guy out. There’s no easy win here. There’s no magic balm that will set this right. THIS IS LIFE. It’s how it works. He knows that, I know that. Katya certainly knows it on some level. But it did make me realize and distill the man I married. I’m okay with that. Hell, I signed up for it. Tonight, while he kept Katya close to him on the bed, with me holding Zorro (our Somali cat) close, we watched “Victory at Sea” and “Zorro” (the Disney Guy William’s version from the 1950’s) so J could relive a part of his boyhood past. He was six and ten respectively and he talked a great deal about why these two shows (along with The Swamp Fox – which is next on our list) were so prominent in his childhood. The four of us lie on the bed, watching old TV and letting my Lou reminisce about his youth. In this I saw the boy who had numerous mutt dogs – all called Penny for some silly reason – Penny One, Penny Two … yeah, that’s my guy. He named them all Penny so it’d be easy to remember. Well, that’s what he says. I now think, after his emotional breaks with Giz and Kat, that he named all those dogs (who were terrier mixes, btw) Penny because he needed the next one to fill the shoes of the Penny before her. It was his way of keeping continuity in his youth. That explains a lot to me about the man I married. The man who diligently sees to our pets care. Cat or dog. Like Lou Grant, beneath that gruff exterior is a heart of gold that is undeniable and the source of my love. They’ve got a lot to live up to as they pursue their passion in their chosen sport. This isn’t an easy thing to acknowledge on my part. I was one of those artistic queer kids that jocks loved to bag on. So why the change up in opinion? Simple: I wrote Angels of Mercy. When Angels presented itself (fully formed to the bitter end, mind you), I thought “Eh, I’ll bang this one out in a month.” I had the ending in my head already. I just had to write to that ending, right? Yeah, not so much it seems. Here’s what I learned: you see, my main protagonist, Marco Sforza, is built upon my husband’s experiences playing football both at the high school level at Massillon, Ohio (the heart of high school American Football as we know it) and for Clemson U back in the day (admittedly a very different era than Marco’s present day story). So given the disparity in my husband’s and Marco’s timelines, I had to make some adjustments between my husband’s experiences and those that I was building for Marco. But what amazed me is that, at its core, very little has changed with regards to the institutionalization of homophobia within American football – be it, high school, college or pro. We like to think “It gets better …” but in reality, has it? There are emerging stories about players in high school and college football that have appeared in OutSports where the players have come out to their teammates. In the cases that have been reported the response has been rather positive. Yet, we only have to bring up what happened to Michael Sam to understand that very little has changed with regard to players who hope to play openly and valued for their sportsmanship and not for who they love. Angels taught me a lot. Not just about my characters and their road to happiness, but also because as I explored Marco’s having to follow that “jock script” all boys are indoctrinated to follow (bag the girl and draw some blood out on the field) Marco goes through some fairly difficult moments in his teenage life. In his desire to play ball and be one of the guys, he’s opened himself up to a major downfall that he can’t see coming – mostly because of the pressure to perform both on and off the field. That pressure is enormous. Yet, there’s a boy that has captured Marco’s attention in a way that no one, boy or girl, ever has. He finds himself on an emotional pendulum – swinging wildly from the life everyone else thinks he should have (girlfriends or friends with bennies, followed by marriage and rugrats), and the life he wants for himself wrapped up in a boy who requires darkness and shadows to survive another hellish day of high school. It’s a ride my own husband had to play. Simply put, hiding hurts everyone involved. No one ultimately benefits from that arrangement, despite how much comfort it may bring teammates in thinking that everything is cool, the dude is solid, a man’s man. 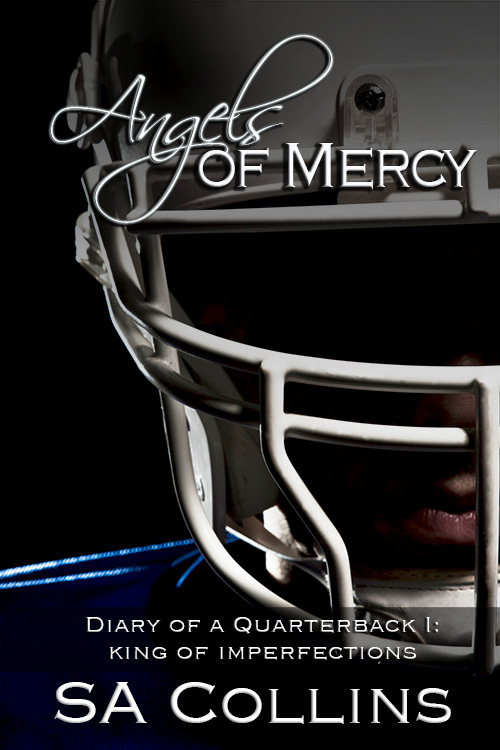 Marco’s journey changed long held positions and baggage I carried from jocks that tormented me in my own past. I began to understand the pressures boys like Marco – who hide from themselves just to play the game they love to play – are under. But I didn’t want that discussion in my works to be so one-sided. My granddaughter is queer and I spend a great deal of time with her and her friends. Queerdom is a very different monster with her crew. Just the fact that they embrace the word “queer” has changed my perspective on a word that used to torment me. So I realized that while things may not have totally changed, I also remembered the stories posted in OutSports of players who have experienced support from within their team. So while there is a clique within the team from Mercy High in my stories, I also balanced it with boys who really wouldn’t care if Marco was with a boy. I needed to show that line that things are changing. Maybe not at lightening speeds, but change is coming. I am not kidding myself in thinking it will change in college or pro-ball in the next five, ten or fifteen years. That may be a long time in coming, but come it will. 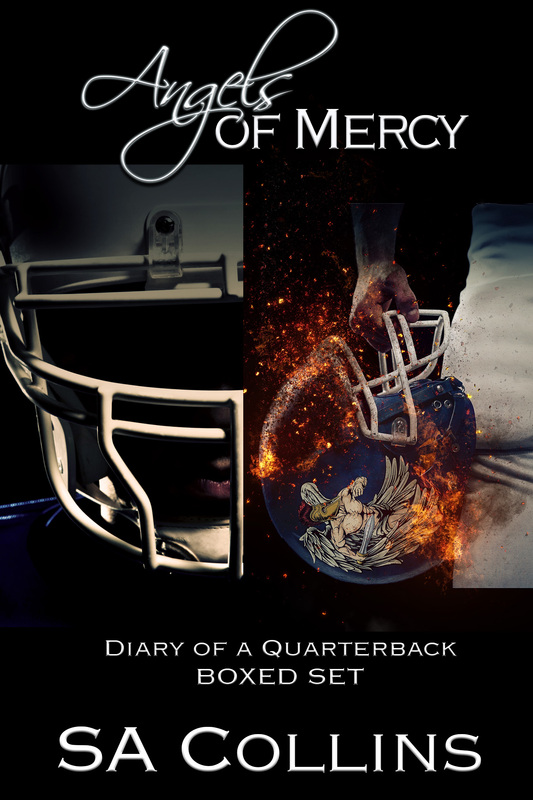 With the release of Angels of Mercy – Diary of a Quarterback Part I: King of Imperfections and Angels of Mercy – Diary of a Quarterback Part II: Prince of Mistakes, I wanted to explore Marco’s journey. To be honest, while I started the main Angels of Mercy series from Marco’s boyfriend Elliot’s point of view, the story was really Marco’s to tell. He gets the lion’s share of the series (three books out of the six total). I am thankful that Marco exists. He’s made me understand my husband’s past so much more. And I am far more sympathetic to athletes who take that courageous step to emerge and live a life out and proud. Their stories will always hold my interest. I often wonder what I would say to my younger tortured teenboy self that would give my younger self context to understand what those boys go through. Don’t know if it would’ve made a difference or not, but I am glad I’ve grown enough as a writer and a queer man to give them a bit more of a pass and a modicum of understanding that many of them may not feel free enough to live openly and use oppression to express their frustration. That’s what Angels ultimately explores. Here’s hoping that the trend toward acceptance keeps moving in a positive direction. I look forward to the day when it simply won’t matter.